The Executive Coach provides support and assistance to entry-level school leaders. The Executive Coach will serve in a non-supervisory role as an external source of confidential expert support. Through this supportive and reflective approach, new school leaders will gain both authentic interpersonal and interpersonal lessons of leadership. The Executive Coach will collaborate with the Leadership Team and Principal Mentors. The Executive Coach will provide additional support and instruction to the Fellows that complements and expands the Fellows’ work with NCSU faculty and Principal Mentors. Coaches help the Fellows have an enhanced understanding of the role of effective leaders and further provide them with the skills, knowledge and understanding of how to be transformational school leaders. Fellows will learn new strategies for enriching leadership in their schools in ways that have an immediate impact on teaching practices and student learning. Assisting Fellow with preparing for and obtaining job placement including mock interviews and review of resumes. The Executive Coaches’ Report should be completed twice during the Principal Residency. Shirley Hart Arrington, Ed.D. earned her undergraduate degree in elementary education from North Carolina Wesleyan College in Rocky Mount and her master’s degree, principal certification, and doctorate from Campbell University. She served as a teacher, assistant principal and principal in the Edgecombe County School System, the Rocky Mount City School system and the Nash Rocky Mount School System. She joined the Principals’ Executive Program in 1993 as an Assistant Director where she directed several programs for school administrators including the Assistant Principals Executive Program, the Developing Future Leaders Program, the Higher School Performance Program, the Instructional Leadership for Reform Program and the Leadership Conference for New Administrators. In April of 2006 she was appointed by the University of North Carolina Board of Governors to the position of Executive Director of the North Carolina Model Teacher Education Consortium. 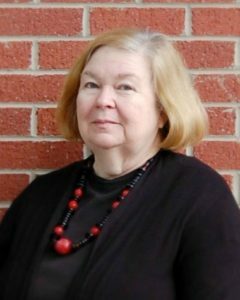 Dr. Arrington retired on September 1, 2011 after over thirty-four years of service to public education in North Carolina. She is currently serving as a professor at Gardner-Webb University, teaching in the Master’s of Elementary Education Program. She also works part time as a program assistant and facilitator for the North Carolina Principals’ and Assistant Principals Association’s Distinguished Leadership in Practice Program. She serves on the board of the Durham Bulls Youth Athletic Association, The Prodigal Son Foundation and the Lincoln Community Hospital Foundation Board. She is a member of Alpha Kappa Alpha Sorority, Inc., Girlfriends, Inc., and Charms, Inc.
Pat Ashley, Ed.D has a passion for student success and is committed to ensuring high student achievement by building high-performing schools and districts. Her prior experience leading District and School Transformation for the North Carolina Department of Public Instruction focused on data-documented school and district turnaround. She oversaw the successful implementation of the NC Turnaround Initiative as well as NC’s ambitious Turnaround effort for 12 districts and 123 schools as part of a Race to the Top grant. Before returning to her home state of NC, she was Assistant Superintendent for Instruction of Kentucky’s Owensboro Public Schools— identified by Standard and Poor’s as an “outperforming” Title I district where student achievement far exceeded predictive variables. She began her career as a teacher before becoming a counselor and school psychologist. These experiences solidified her knowledge of how students learn. She was a middle school principal in an inner-city magnet school in Charlotte, NC; principal of a large comprehensive high school in State College, PA; and, after a family relocation to KY, she became the principal of an elementary school in identified as low performing. Following a short period of great collaboration, this school became the highest achieving school in KY for multiple years based on statewide assessment data. Among multiple honors, the school was featured on the Today Show for educational innovation and selected as a National Blue Ribbon School. Considerable years as a principal in diverse settings developed Pat’s deep understanding of the critical role a principal plays in a school success. In 2013, she received the NC Public School Forum Jay Robinson Leadership Award for exemplary leadership with a statewide impact. Her undergraduate degree in history is from Duke and her master’s degree and doctorate are from NC State. She studied in India on a Fulbright and is currently Professor of the Practice in the School of Education at UNC-Chapel Hill as well as teaching for NCSU NELA. Tom Houlihan, Ed.D. has been a coach with NELA from the beginning of the program. He has previously served as a teacher, high school principal and superintendent in both Granville and Johnston counties. In addition Tom served as Executive Director of the Council of Chief State School Officers in Washington, DC. Recently Tom was elected to the Granville County Board of Education. Tom previously served as Senior Education Advisor to Governor James B. Hunt, Jr., Governor of North Carolina. Dr. Houlihan is the first educator in history to hold Cabinet level status in a North Carolina Governor’s administration. 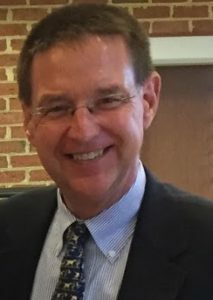 An author and frequent speaker/consultant, Dr. Houlihan was selected “Superintendent of the Year” in North Carolina and was one of four finalists for National “Superintendent of the Year.” He has also been honored by his alma maters, Indiana University and North Carolina State University, as a distinguished alumni award winner for contributions to education. 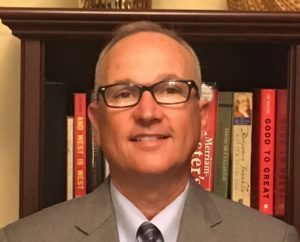 Jim Key has over thirty years experience in public education as a teacher, coach, principal and area superintendent for high schools. 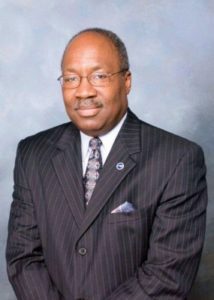 He spent his entire career in Durham Public Schools after graduating from UNC-Chapel Hill where he earned both his B.A. and M.S.A. degrees. He was honored as the Teacher of the Year for two different schools and the North Carolina High School “Mat News” Wrestling Coach of the Year in 1994. Key served as a principal for fourteen years leading schools at the elementary, middle and high school levels. He is proud that ten of his former assistant principals later became principals in Wake, Durham, Chapel-Hill/Carrboro and Granville counties and for his work with numerous principal interns from UNC-Chapel Hill, NCSU and NCCU during his time as a principal. Key was recognized as the Durham Public Schools Principal of the Year in 2009. Key served as Durham Public School’s area superintendent for high schools from 2011-2014. Upon retirement, Key was awarded the Order of the Long Leaf Pine for his life-long dedication and commitment to North Carolina’s students, teachers and schools. He currently serves on the board of directors for CIS-Durham. Jim is married to Ruth, a long-time high school media specialist and the proud father of two adult children, one of whom is a psychotherapist and the other a high school science teacher. During his spare time he enjoys walking his dog, Roman. David Malechek is a career educator of 39 years who earned his Undergraduate Degree in History from Duke University and his Masters Degree in Education from UNC-Chapel Hill. David taught Social Studies for sixteen years in the Durham Public Schools at Northern High School and Riverside High School. At Northern and Riverside, David served as a mentor in the Duke MAT Program and was named Northern’s Teacher of the Year in 1989. David began his career in educational administration as an Assistant Principal at Northern High School where he worked for five years before accepting the position of Principal at Mathews High School in Virginia. David returned to North Carolina where he worked as a Principal in both Wake and Lee Counties. David returned to Mathews High School in 2006 where he again served as Principal until his “retirement” in 2011. Since returning to North Carolina, David has served as an Interim Principal, Assistant Principal, and Teacher at fourteen different schools. He is currently working as an Interim Assistant Principal at Green Hope High School in Cary, NC. David is married and his wife Kathi is a retired Special Education Teacher and Administrator. They live in Chapel Hill with their 10-year old Weimaraner, Merry, where they enjoy gardening, walking, hiking, and keeping busy. David and Kathi have two daughters and five grandchildren. Bill McNeal grew up in Durham County and is a product of Durham Public Schools (Merrick-Moore High School). He completed his Bachelors and Masters Degrees from North Carolina Central University in Social Studies and Political Science. He served two years in the Army, and began his teaching career in Danbury, Connecticut. After three years, he took a teaching job in the Wake County Public School System at Carroll Junior High. Impressed by the number of highly qualified African-American leaders in Wake County, and inspired by role models such as his first Wake County Principal, Bill became a school leader himself. He was promoted to assistant principal at Carroll Junior High and then served as Principal at East Garner Middle and Martin Middle Schools. Bill focused his career on serving the entire Wake County Public School System in 1985, when he became an assistant superintendent for administration, followed by the position of associate superintendent for auxiliary services. In 1992, he became associate superintendent for instructional services. In 2000, the Wake County Board of Education called upon Bill to lead the school system as its chief executive officer. After becoming superintendent, he focused all of the school system’s energies on meeting the goal of having 95 percent of third- and eighth-grade students at or above grade level. Bill has received many awards and honors for his public school service. He was named the North Carolina Superintendent of the Year in 2004 by the North Carolina Association of School Administrators (NCASA) and the North Carolina School Boards Association. That same year, the American Association of School Administrators named him National Superintendent of the Year. On July 1, 2005, he was appointed the Superintendent Advisor to the North Carolina State Board of Education. Bill has focused his energy on providing services that assist other educators in their role as school administrators in North Carolina. He implemented NCASA’s Leadership Institute Series which offers powerful training and leadership seminars that focus on developing skill sets that help participants become stronger, more confident leaders and managers. In 2009, he co-authored A School District’s Journey to Excellence: Lessons from Business and Education with Tom Oxholm, which included a foreword written by Governor Jim Hunt. Teresa Pierrie is the Director of Programs for WakeEd Partnership, an education non-profit supporting the mission of Wake County Public School System, where she designs and implements professional development in STEM and teacher leadership and manages programs supporting early childhood literacy. She serves in this role following a 30 year career in public education that included experience as a secondary English teacher, various roles as a central services administrator, and two principalships. 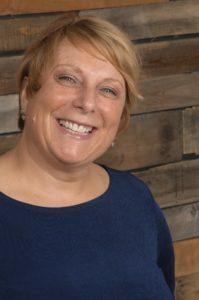 Her specific passion and expertise are in the area of professional development, instructional innovation, and school culture and team development. Teresa was the founding principal of Wake Young Women’s Leadership Academy, an innovative early college model merging middle school and high school education with leadership, single gender advocacy, and college preparatory academics. Her work in innovative school models earned her recognition as a News and Observer “Tarheel of the Week” in August 2012. She also served as the principal of Wake Early College of Health Sciences. Teresa has served on the boards of Wake County PTA Council and Partners Against Trafficking Humans in North Carolina. 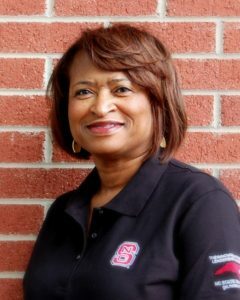 A two-time North Carolina State University graduate, Teresa holds Masters’ degrees in Adult Education and School Administration. She and her husband Richard are the proud parents of three Wake County Public School System graduates, one of whom is currently pursuing a doctorate in school leadership from North Carolina State University. Teresa believes in the “work hard, play hard” philosophy, enjoying theater, traveling – especially camping, and bowling in her spare time.